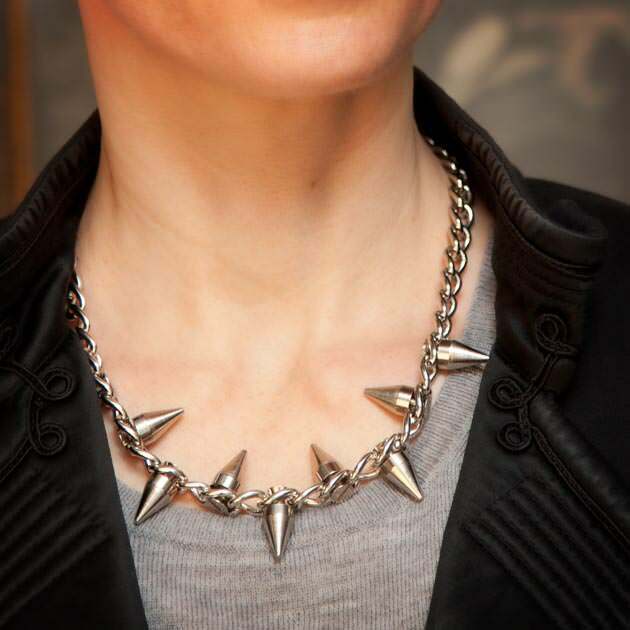 One of the things I love the most about jewelry is its sculptural properties. Like wearing a piece of art. 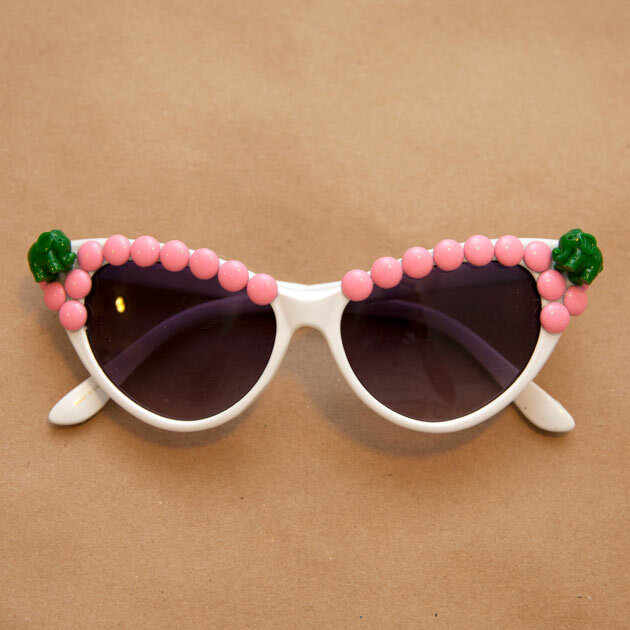 It can be a real conversation starter and a great way to express your personal style. 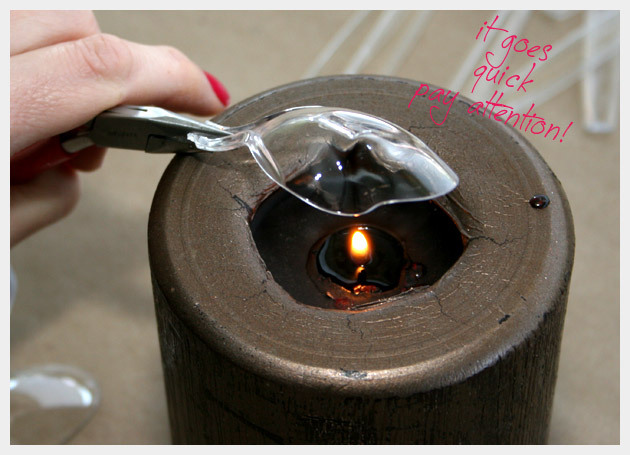 You really feel like McGuyver melting spoons over a candle. It has been brought to my attention that melting plastic spoons releases a toxic gas that is very dangerous to breathe. 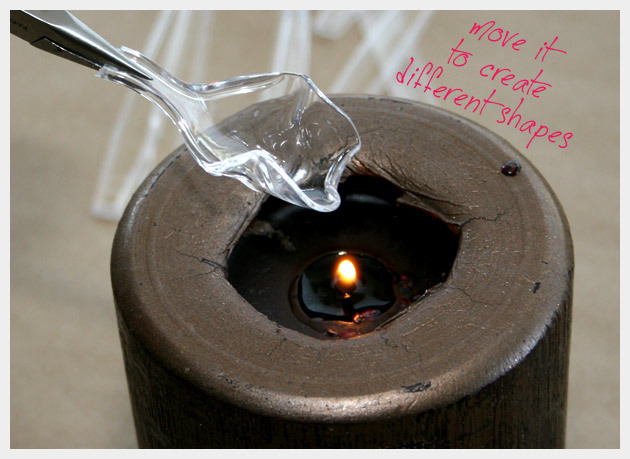 When I did this project I knew that it was something to be careful of and I melted the spoons in an area by an open window with a lot of ventilation. It is your choice whether or not you choose to make this project, but please be aware of the dangers of melting plastic. If you do choose to make it I would suggest if it’s possible to do it outside and make sure that the plastic does not catch on fire. 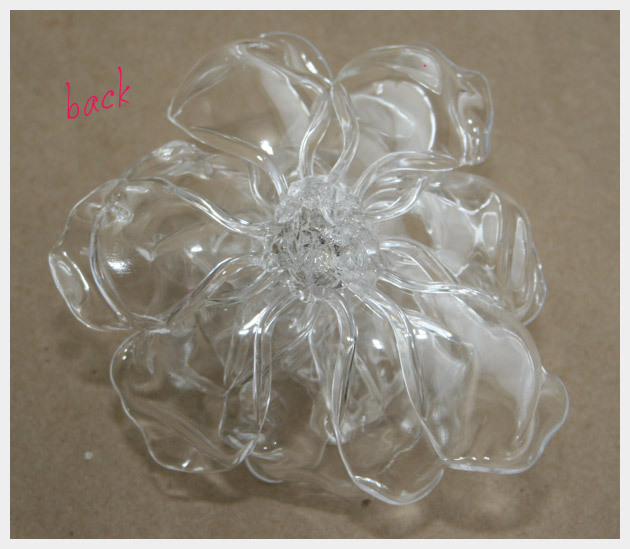 There are many types of plastics and a lot of information on the web about melting plastic. Using your pliers carefully break off the handles of the spoons. 2 spoons – very close to the bowl of the spoon. 5 spoons – leave a little of the handle. 10+ spoons – leave about a half inch. I used the whole box (minus 1 – I burned a hole through it). 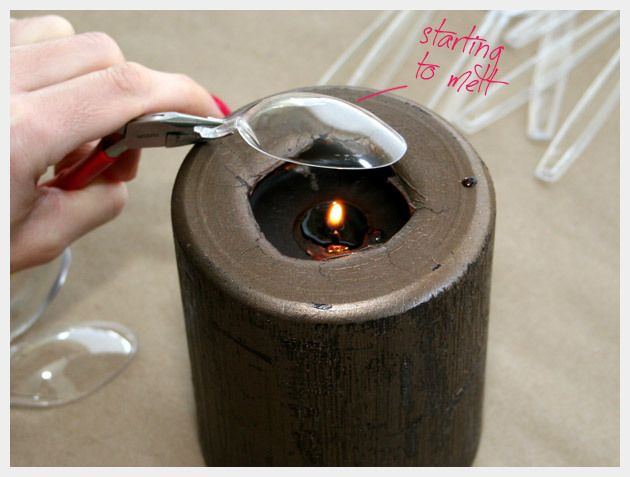 Starting with the 2 smallest, hold the first spoon with your pliers over the candle. 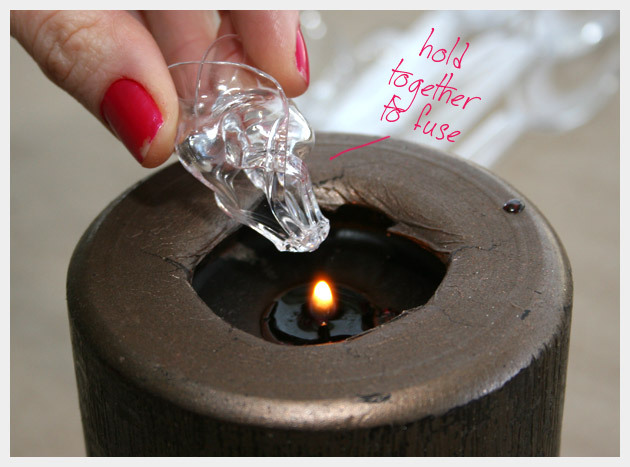 Be careful not to hold it to close, the plastic can catch on fire, which can be dangerous (obv!) and also leaves scorch marks of the spoons. I also recommend doing this by an open window or in a well ventilated area. Who knows what fumes may come from melting plastic spoons. After you have melted the first 2 spoons you will need to melt the bases together. Don’t be afraid to use your pliers to pinch the hot plastic together. Continue melting the spoons. 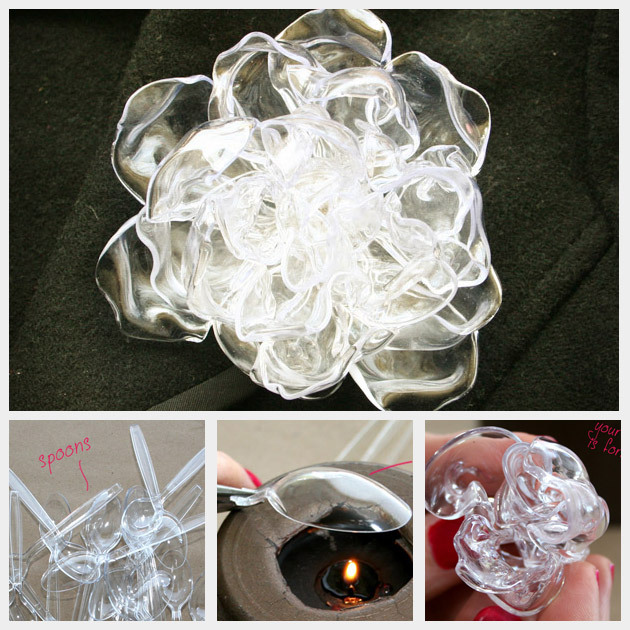 After youve melted the 5 spoons with the slightly longer handles you can start melting handles and attaching them to create your flower. Keep melting spoons and adding them to your flower until you feel its done. 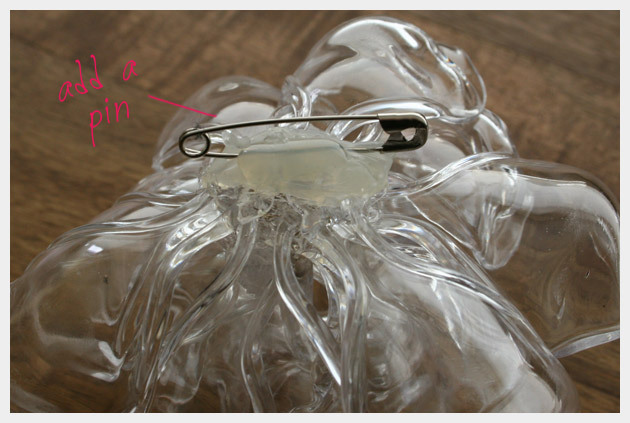 Add your pin back by melting the plastic at the base of the flower and inserting your pin or by using a strong glue. I used hot glue which seems to be holding quite well. Burning plastic releases cyanide. It is the main cause of death in house fires and it is a carcinogen. You should never ever heat or melt plastic. Thank you for bringing this to my attention. I am putting a disclaimer on this post to make people aware of this. Thanks again for caring enough to let people know. Dangerous side effects aside… this may be a outdoor activity for me soon. 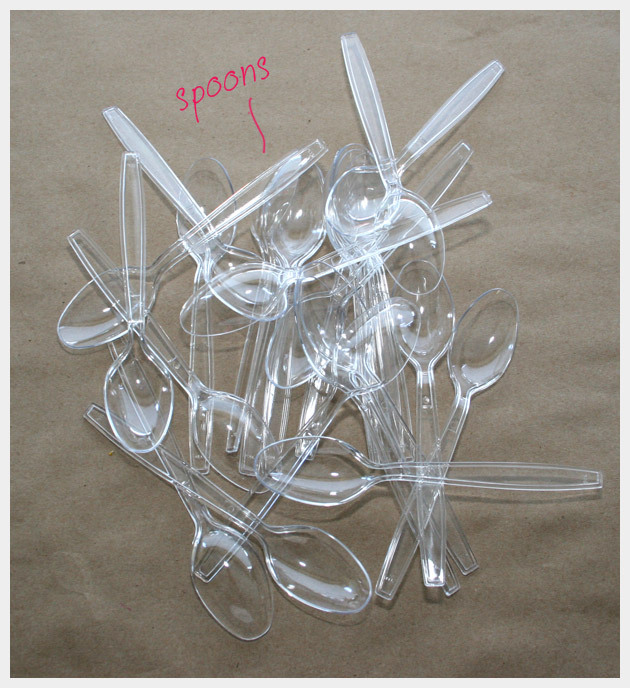 Question – did you use really cheap plastic spoons or were they a little bit heavier? Also… I really want to try colored spoons, I imagine they will work just as well. The spoons I used weren’t really cheap, I actually just bought what they had at the grocery store. LOL But they were a little thicker than the cheap ones. This would make a fantastic hair clip! Flowers are really in, and I’m sure it would look pretty neat in black light! Hey great idea! i tried this and the petals worked really well but when i tried to fuse them together they would not and i ended up burning them! D: is there a trick! please help! What you want to do is just get the ends hot enough that they’re soft and press them together with the other petal. There were times I had to use my pliers to squeeze them together. You have to work fast and just one petal at a time. 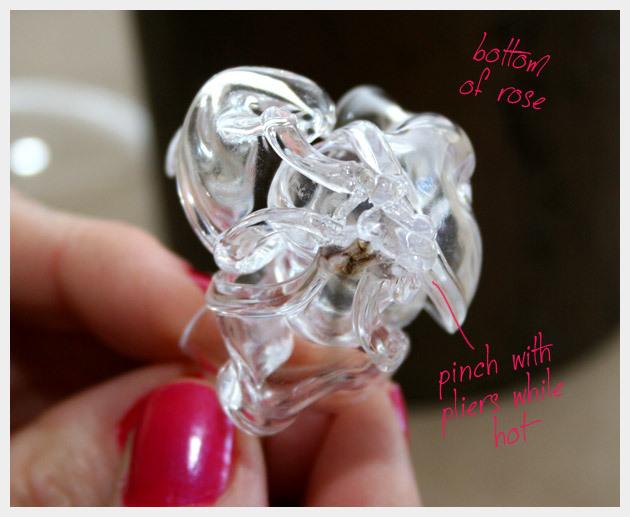 Only heat the petal you are going to add, then using your pliers push the soft part into the other petals. Make sure they’re completely cool and solid before moving them. I love your tutorial! Makes it easier to understand. I have made 2 spoon roses and I am having a hard time with them being too thick, as in the back. And ideas as to how I can fix that? You are beyond creative! love this!